East Livermore is an unincorporated village in the town of Livermore Falls, Androscoggin County, Maine, United States. 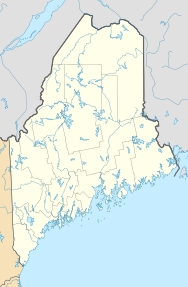 The community is located along Maine State Route 133 and the Androscoggin River 22 miles (35 km) north of Lewiston. East Livermore has a post office with ZIP code 04228. ^ "East Livermore". Geographic Names Information System. United States Geological Survey. ^ United States Postal Service. "USPS - Look Up a ZIP Code". Retrieved April 19, 2017. ^ "Postmaster Finder - Post Offices by ZIP Code". United States Postal Service. Retrieved April 19, 2017. This page was last edited on 15 January 2018, at 07:39 (UTC).